And the winner of my First Ever Giveaway is... drum roll, please... Lindsey!!! And, look at that! Look at that! 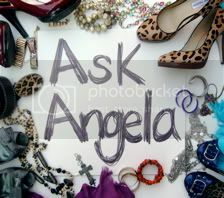 Her blog is named... get this... Highheels and Hairbows. Can you say "separated at birth?" "You are too sweet! I love your blog...we seem a lot alike! I am gonna follow you! Thanks for hosting such a great giveaway! I mean the only thing that could be better than a $5 Starbucks giftcard..would be if Beth Moore hanging out with me was part of the prize! :)"
But, girlfriends, this was random. My kids and hubby and a bowl with cut up paper and scribbled numbers can attest to that! Thanks to all who participated in this giveaway and left fun comments. Three-hundred and eleven. Holy Cow! I feel all famous and popular and whatnot. And, to my new subscribers, welcome!